All our professionals at Frank A. Berman D.D.S. maintain the highest levels of accreditation and pursue ongoing education to stay abreast of the latest trends in dentistry. Dr. Berman is the region's leader and foremost authority in providing new and exciting treatments and options for his patients. His treatments use the most modern methods to provide his patients with not only gorgeous smiles, but innovative dental treatments for sleep apnea sufferers, migraine and chronic headache relief (Do you feel fabulous in the morning when you wake up? ), adult cosmetic braces (6 Month Smiles) treatment with clear brackets and nearly invisible tooth colored wires with an average treatment time of 5-8 months, Deep Bleachingâ„¢ with off the charts whiteness, and many other sensational options. Be sure to visit the smile gallery to view some of the magnificent smiles that were created in Dr. Berman's office for his patients. Dr. Berman has taken countless hours of continuing education courses from the leaders of cosmetic dentistry and advanced treatment options to benefit his patients smiles and well being. He has studied with the doctors of the Extreme Makeover TV show, been certified in Lumineersâ„¢ porcelain veneer placement, certified in the use of the Somnodent sleep apnea appliance and is a member of the American Academy of Dental Sleep Medicine, placed numerous NTI-Tss anti-migraine and chronic headache appliances and is a certified 6MonthSmiles adult cosmetic braces provider. Please visit our "Links page" to further educate yourselves about the many advanced treatment options our patients enjoy to give them the smiles of their dreams and advanced treatments to improve their quality of life. Dr. Berman received his undergraduate degree in Psychology and Elementary/Secondary Education from Wilkes University in 1971. After graduation, he was commissioned as an Ensign in the U. S. Navy and received his Naval Aviator designation in 1972. After graduation from flight school, he was assigned to Patrol Squadron 46 at Moffet Field California flying as plane commander of P-3 Orion anti-submarine aircraft and in 1976 became the chief pilot for Naval Air Station Key West, Fla.
Dr. Berman left active duty in 1977 and subsequently flew commercial airliners for Allegheny Airlines in 1978 before entering Temple University Dental School. He received his Doctor of Dental Surgery (D.D.S.) degree in 1982. 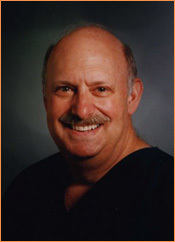 Dr. Berman practiced dentistry in Hanover Township for 22 years before moving to his new location in Kingston in 2006. Dr. Berman is married to Sally and is the father of two children, Jack and Amy.